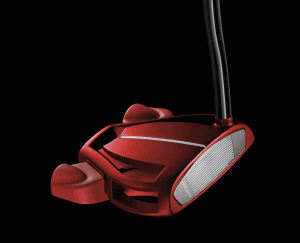 This Taylormade Spider Limited Red putter review is for the weapon of choice for Jason Day- the number one player in the world. It happens to be the exact putter he’s been using since 2014, but for the matte red finish. And as we all know, Jason is one heck of a putter. The release of this putter happened shortly after Jason won the Players Championship. On May 17, 2016, Taylormade released the new Spider Limited and the Spider Limited Red putters, both inspired by Jason’s Itsy Bitsy prototype. 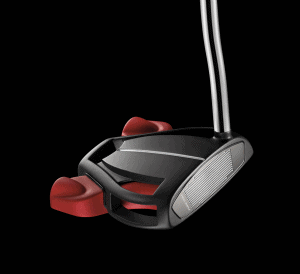 Jason asked for a red version of the Itsy Bitsy, so the team at Taylormade drew inspiration from the venomous Redback spider- indigenous to Australia. They worked up two versions using the red and black color pattern at Jason’s request. I’ve included images of both below. The Spider Limited has the black body and the red bumpers and the Spider Limited Red has a red body and bumpers. There are only a couple limitations to Taylormade’s offering that I can see. As far as the right vs. left handed- there’s not much you can do about that. Thirty-five inches is on the long side for putters, so lack of a longer version isn’t going to be a problem. It’s also not a problem if you would like a shorter version. I routinely cut my putters down, and other clubs for that matter, to whatever length I’m comfortable. There is the annoyance and added expense of having to purchase another grip- but I consider that minor since I wrap my grips with tennis “tourna-grip” anyway, and I keep my putters for a long time. Even if not wrapping, putter grips tend to wear out slowly.